Hot off the press! This book covers a lot of musical ground. If you’ve made a life of listening to music, worked your way through countless recordings, and consider yourself enriched for it, you’ll probably find this entertaining and resonant. I make a contribution to the book as well, so…some shameless self-promotion here. More than anything else, perhaps this will work as a great source book for those wanting to venture further afield musically. A truly alternative look at music lists, not one that merely includes the obvious but shows the connections of popular music to the avant garde, the obscure, the experimental, the quirky, and the adventurous. Herein you will find a list of 500 artists from the familiar to the unknown. A list and a guide to musical pleasure sometimes close at hand and sometimes far afield. 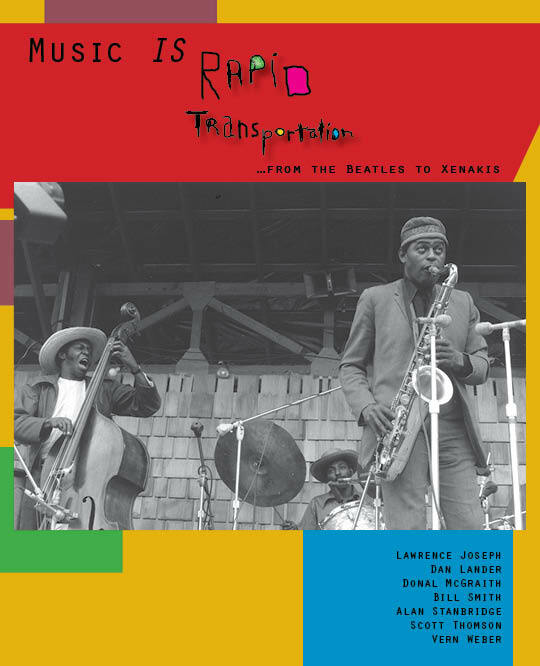 The book includes biographical essays of the eight contributors describing their musical journeys of discovery and the joy they derived from that exploration. They discuss the merits and dilemmas of collecting, recording versus live performance, the change of media and the future of music. In addition 100 plus artists receive short but detailed personal evaluation. by Lawrence Joseph, Dan Lander, Donal McGraith Bill Smith, Alan Stanbridge, Scott Thomson & Vern Weber. Photos by Gordon Bowbrick, Herb Greenslade & Bill Smith.